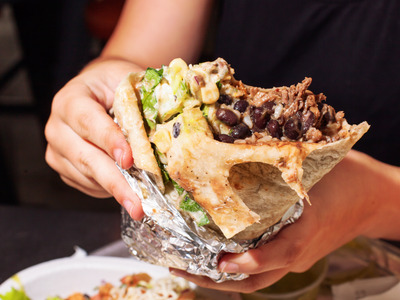 Hollis JohnsonChipotle is retraining its employees on food safety. Chipotle will start requiring its employees to take a quarterly online test on food safety after an illness outbreak tied to one of its restaurants sickened at least 647 people. The company also said Thursday it will retrain all employees on top food-safety priorities. Chipotle has spent millions of dollars on measures to improve food safety after an E. coli outbreak three years ago affected restaurants in 14 states. The test is an “e-learning type module that all employees will be required to complete on a quarterly basis in addition to their daily food safety routines and annual food safety training,” Chipotle spokeswoman Laurie Schalow told Business Insider on Thursday. The company also said Thursday it will retrain all employees on top food-safety priorities. The training will begin next week during employees’ shifts at restaurants across the United States. Chipotle is adding the new online assessment and training after an illness outbreak sickened hundreds of people who ate at one of the company’s restaurants in Powell, Ohio, last month. Reported symptoms included vomiting, diarrhoea, and stomach pains. Stool samples taken from customers who got sick after eating at the restaurant tested positive for Clostridium perfringens, a foodborne illness that occurs when food is left at an unsafe temperature, according to Traci Whittaker, a spokeswoman for the Delaware General Health District. The health department said that no specific food has been identified as the source of the illness and that the Centres for Disease Control and Prevention was conducting food and stool testing. Records show that local health officials inspected the Powell Chipotle on July 26 and found violations related to food not being held at proper temperatures. Specifically, they observed that lettuce was not properly cooled and that beans were not held at a warm enough temperature. The procedures include blanching some ingredients in boiling water and marinating others in citrus juice. Restaurants have also added new measures for recording food temperatures and logging employees’ wellness, among other procedures.